We are Local 39521 of The NewsGuild, part of the Communications Workers of America. The CWA is one of the nation’s largest labor unions. Our Guild represents more than 1,000 newspaper, language and communications workers across Northern California, the Central Valley and Hawaii, along with freelance and new media journalists, interpreters, typographical workers and video ASL interpreters. Our membership includes newsroom workers at some of the nation’s most respected mastheads, including the San Francisco Chronicle, San Jose Mercury News, Sacramento Bee, the Press Democrat of Santa Rosa and the Monterey Herald. We were the first Local of the NewsGuild to create a unit for freelance media workers, called Guild Freelancers. In 2013, we organized American Sign Language interpreters at Purple Communications (now aka ZVRS). These members are part of ASLIU – American Sign Language Interpreters United. They are highly skilled video relay interpreters who support the FCC in providing communications services to deaf and hard-of-hearing individuals. In early July 2015, we won an NLRB election to start a new unit for English as a second language (ESL) teachers at St. Giles International in San Francisco. By December 2015, we’d ratified our first collective bargaining agreement. In recent years, the Guild organized the California Federation of Interpreters unit, which represents more than 800 court interpreters across the state. In the 2014-2015 time frame, we assisted CFI in establishing its own local – CWA Local 39000, with headquarters in Oakland. We continue to organize independent interpreters, and are proud of our IGA unit – Interpreters Guild of America. This Local merged with another local to extend our bargaining power to journalists at some of Hawaii’s best newspapers. We also organized editorial employees of the MediaNews chain clustered in the San Francisco Bay Area, including the Oakland Tribune and Contra Costa Times. We are proud that staffs of some of the most respected unions and labor groups in the state have also chosen us for their own collective bargaining representation. We represent the administrative and professional workers at the California Labor Federation and the International Longshore and Warehouse Union among others. Modern media workers face rapid change and uncertain times, regardless of their industry. Too often, our employers answer the rising challenge of receding income and changing technology with the same old practices, leading to the same old results: chopping workers, cheapening the product and eroding public trust in the vital services we provide. The San Francisco Free Press helped end that strike in less than two weeks — and produced good contracts for more than 2,000 members of the Guild and allies in the Conference of Newspaper Unions. Much has changed since those early days, and challenges grow daily in the dynamic world of modern media. But the Pacific Media Workers Guild remains committed to quality journalism and language services, fair wages and benefits, secure employment and safe workplaces. We are also committed to connecting with the Next Generation of journalists to help keep our membership vital and current. To that end, we began an organizing project focused on journalism students from City College of San Francisco and San Francisco State University. The project is named Bay News Rising. We provide programming that includes mentorship, career navigation and training in news room requirements. This project was first funded by a grant from the Berger-Marks Foundation, and continues with support from Communications Workers of America, from our active and retired members and from private donors. We view it as a privilege to stand together in defense of our union’s core principles. And we invite YOU to join us. Start one he did: The American Newspaper Guild. Recognizing its Canadian membership in the 1970s, the name was changed to The Newspaper Guild. Bitterly opposed by publishers, 71 men and two women in San Francisco answered Broun’s call by meeting in a back room and took the first steps in forming a Bay Area chapter by signing the “Hearst Manifesto.” They were editorial employees at the San Francisco Examiner, but within three years they were joined by workers at the San Francisco Chronicle. The Newspaper Guild of Northern California was chartered as the 52nd Local, in April 1936, and four years after Broun’s initial column the advertising and business employees were members as well. In 1937 the Guild’s national membership had reached 10,000. The Bay Area Typographical Union, Local 21, was already well established when the Guild organized in San Francisco, having been founded in 1872. During the turbulent 1940s and ’50s, hundreds of Guild officers nationwide were fired, transferred or forced to resign. Publishers used the war and “inefficiency” as excuses. Nonetheless, the Guild grew in numbers and purpose and, having been joined by other locals throughout the area, the local had changed its name to the San Francisco-Oakland Newspaper Guild (SFONG). Guild negotiators in the 1950s had successfully bargained top scale wages to $126.75 a week. 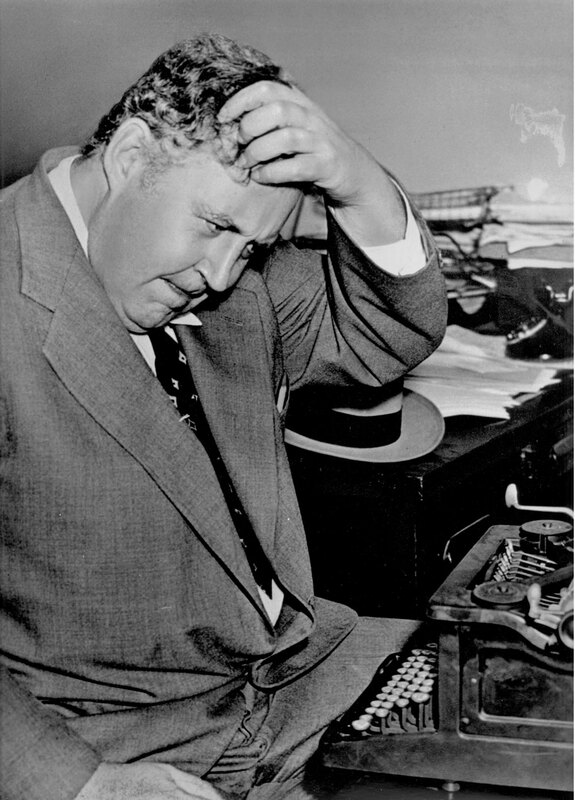 In 1951 Hearst killed the Oakland Post Enquirer and SFONG represented workers at the Chronicle, Examiner, News and Call-Bulletin in San Francisco. By the end of the 1950s the News and Call-Bulletin had been merged, and the next decade brought our first contract with the Oakland Tribune. In 1965 the Chronicle and Examiner, after a hard-fought circulation war, consolidated their non-editorial functions into the San Francisco Newspaper Printing Company and closed down the Hearst-owned News-Call Bulletin — an action legalized retroactively by the passage of the Failing Newspaper (Newspaper Preservation) Act in the 1970s. The Joint Operating Agreement put 600 out of work, but almost all the displaced Guild members were eventually rehired thanks to strong contract language. Through a series of mergers and successful organizing, the local now represents members throughout California, including units or individual work sites in San Jose, Santa Rosa, Oakland, Fremont, Pleasanton, Petaluma, San Mateo, Sacramento, Modesto, Fresno, Monterey, Los Angeles and Orange County, as well as San Francisco. Our members work at newspapers, wire services, labor union staffs, and as language interpreters in the court systems in Northern and Southern California. In the mid-1980s Local 52 changed its name to The Northern California Newspaper Guild, and in 1998, following the Guild’s merger with the Communications Workers of America and a regional merger with the Bay Area Typographical Union, Local 21, became the Northern California Media Workers Guild/Typographical Union, Local 39521 of The Newspaper Guild sector of CWA. 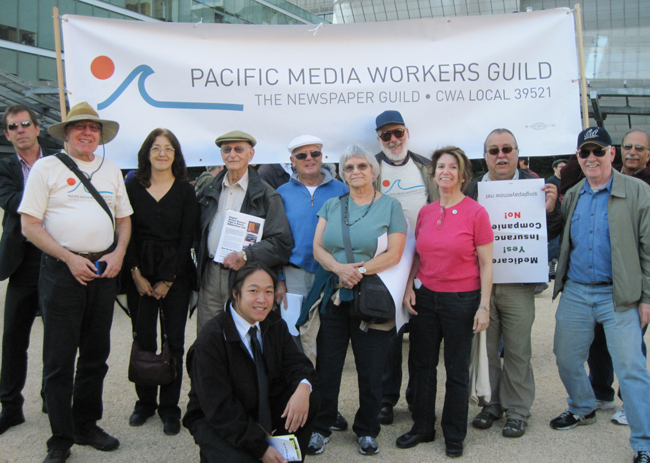 We merged with the San Jose Newspaper Guild effective Jan. 1, 2009, changing our name to the California Media Workers Guild. Our most recent merger brought the Hawaii Newspaper Guild into our local in January 2011, when we changed our name to become the Pacific Media Workers Guild. Our local number — 39521 — and dedication to service and organizing has not changed.